Statistics show an alarming surge in bike accidents and injuries in South Florida. The Sun-Sentinel (Dec. 7, 2013) – using data from the Florida Department of Highway Safety and Motor Vehicles and other safety experts – has reported on the increase of cycling crashes in Broward and Palm Beach Counties from 2009 to 2012.
eight bike accident deaths in 2012 in Palm Beach County (up from four in 2010). By means of comparison, a total of 6,058 bicyclists were injured in Florida in 2012 and a total of 116 bicyclists were killed in the state. 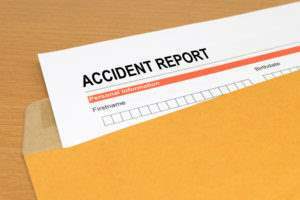 Why are accidents on the rise? stricter enforcement of laws requiring police to report bike crashes. Advocates and safety officials report that bicyclists also share the blame in some cases, such as when they disobey traffic signals or fail to wear reflective clothing at night. What can be done to prevent accidents? The Sun–Sentinel cites various experts who call for improved infrastructure in South Florida communities where cycling has become more popular among commuters and recreationalists. teaching bicyclists about best riding practices (not using the sidewalks and instead riding on the road, wearing helmets and so on). Increased safety measures may be necessary as cycling continues to grow in popularity in our communities. What should I do if I’ve been injured in a bike accident? You may have the right to pursue compensation if you are injured in a bike accident in South Florida. If a car struck you, money may be available through your auto insurance policy, including your PIP coverage. You may also have the right to sue a negligent driver for causing your accident. maintain all medical and income records (to demonstrate financial loss). You also should schedule a free case consultation with a Fort Lauderdale personal injury lawyer to discuss your options for recourse if you suffered serious injuries or damages. Call our offices at (855) 529-0269 or use our contact form to learn more.